Who has the ABLCS edge? 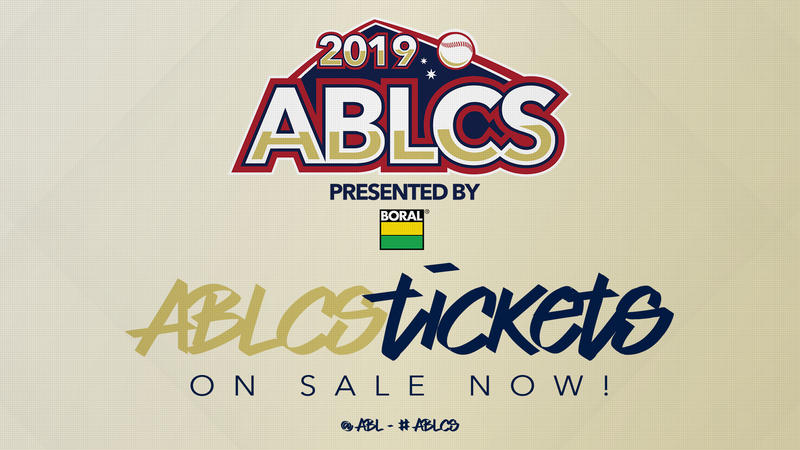 The Brut Australian Baseball League's best two offensive outfits will go head-to-head in a highly anticipated 2019 ABL Championship Series presented by Boral starting in Perth tomorrow night. The matchup between North-East Division winners Brisbane and South-West Division champions Perth presents a number of mouth-watering narratives. Can the Bandits snare a record-setting fourth-straight title? Will the Heat claim an ABL-best fifth crown? And looking across the diamond, there are plenty of battles to keep an eye on. Who will come out on top in this best-of-three battle? Let's break it down position by position to find out. 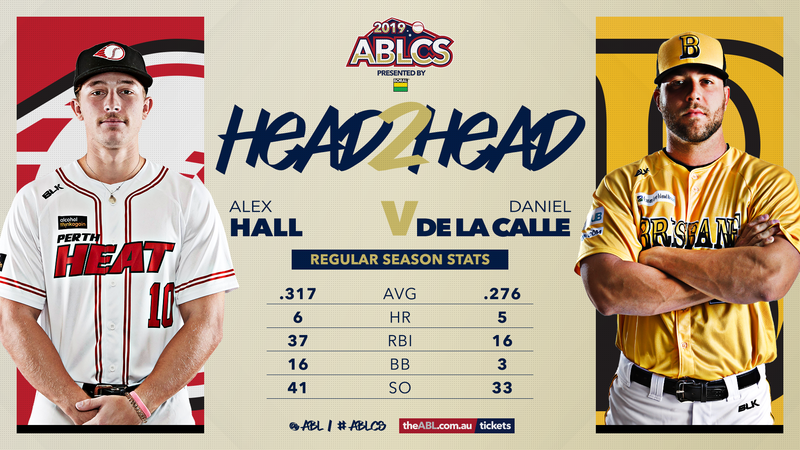 Alex Hall and Danny De La Calle have been two of the better offensive catchers this season. Hall, in his third ABL season, ranked behind just Tristan Gray and TJ Bennett with 37 RBIs. The 19-year-old hit .317/.393/.545 and homered six times, including twice against the Bandits. De La Calle hit .276/.309/.486 with five homers. The Bandits' backstop caught seven of 25 baserunners attempting to steal, while backup Ryan Battaglia threw out 12 of 27. Hall ended five of 18 stolen base attempts and only committed one error on the season, compared to five from De La Calle. David Sutherland's numbers have taken a dip this season but he still presents a massive threat down the order, particularly at OneHub Stadium powered by Optus. The veteran has hit .228/.267/.488 this season, down from .356/.398/.692 a summer ago. Sutherland has struggled against left-handed pitching (1-for-30) but homered seven times in Brisbane. Bowey went .273/.375/.500 during 3 regular-season games but is hitting just .200 in his past 10 games. The ABL RBI leader and one of the hottest bats of the past month will patrol second base during the best-of-three ABLCS. Tristan Gray drove in a league-high 41 runs for Perth during the regular season. The 22-year-old hit .321/.410/.583 with 10 homers and went deep once with five RBI against Brisbane in four games. Unroe ended the season on a tear, collecting a league-best 17 RBI in 13 regular-season games during the month of January. He then went 8-for-14 with two homers in last weekend's ABL SF. Sure, TJ Bennett became the first player to sit atop the ABL home run leaderboard for consecutive seasons and finished second in the league with 39 runs batted in. But, there is a conversation to be had here. Robbie Glendinning has had a huge impact since joining Perth in round four. The 23-year-old Pittsburgh Pirates prospect hit .364/.467/.545 in 28 regular-season outings, driving in 25 runs. Glendinning went 6-for-15 with five RBI when the Heat took down Brisbane 3-1 earlier in the season. Bennett hit .303/.364/.626 with 13 homers in 40 games. The shortstop battle pits a former big leaguer against a Team Australia star. Logan Wade has been in ominous form since returning to the Bandits' lineup following a shoulder injury sidelining him to start the season. The 27-year-old hit .329/.360/.600 with four homers and 15 RBI in 17 games. Kozma averaged .291 with four home runs and 18 RBI in 39 games during the regular season. He went 12-for-20 with a homer when the clubs met in Brisbane. Defensively, the former big leaguer has been far more sound. Kozma's made just four errors compared to seven from Wade in a much smaller sample size. Heat manager Andy Kyle has relied on several options in left field with Ulrich Bojarksi, Chris Clare and Jess Williams all rotating through the position over the past few weeks. Bojarski has spent most time in left of late and is hitting .286 with two homers and five RBI in 12 minor round games. He homered in game three of Perth's ABLSF win over Sydney on Sunday. Last-season addition Wynton Bernard has made left field his own in Brisbane. The 28-year-old picked up a hit in each of the Bandits' three ABLSF games with Canberra, including a homer in the finale. Andrew Campbell put up career-best numbers in several key offensive categories during his ninth season with the Bandits. He set new marks for hits (48), home runs (10), runs batted in (34) and walks (28) on his way to a .310/.415/.542 season. Only Bennett drove in more runs for Brisbane during the regular season. Chester finished third on the Heat's roster with 27 RBI. He hit .260/.356/.473 and was particularly effective on the road. Tim Kennelly finished eighth in the ABL with a .338 batting average during the regular season, providing experience in right field and at the top of the Heat batting lineup. Kennelly put up a .338/.419/.531 line in 38 appearances during the regular season. The 32-year-old drove in 24 runs and homered six times. Wade Dutton homered three times in Brisbane's ABLSF victory over Canberra. He went deep four times during 32 games in the regular season, hitting .272 with 21 RBI. Brisbane manager David Nilsson has platooned Mitch Nilsson and Donald Lutz in the DH spot recently. Nilsson is on the comeback from injury and has logged just 20 plate appearances, including the Bandits' ABLSF against Canberra, with 18 against left-handed pitching. Lutz came into the game to replace Nilsson when right-handers took the mound last weekend and clubbed a decisive homer in game three. He went 4-for-7 with three homers all up during the ABLSF. Chris Clare has played DH for Perth in five of its past 10. He hit his first homer last weekend finished the regular season hitting .283/.383/.381. Name a better trio than Ryan Bollinger, Tim Atherton and Travis Blackley to roll out in a Championship Series, we'll wait. That's the luxury Nilsson has this weekend as the Bandits chase a fourth-straight title. Atherton and Blackley logged 3.00 or better ERAs in the regular season despite playing half their games at the league's most hitter-friendly ballpark. Bollinger was built up all season and made his best start in game one of the ABLSF. Perth's John Anderson was 2-1 with a 1.88 ERA in regular season starts while Conor Lourey collected a team-high five wins. Both bullpens have had their moments throughout the season to this point. But despite some ups and downs they have shown mostly positive signs in recent weeks. Brisbane got solid outings from Loek van Mil, Justin Erasmus and Sam Holland last weekend. Ken Frosch was only required for one out but has put together a stingy 1.76 ERA. 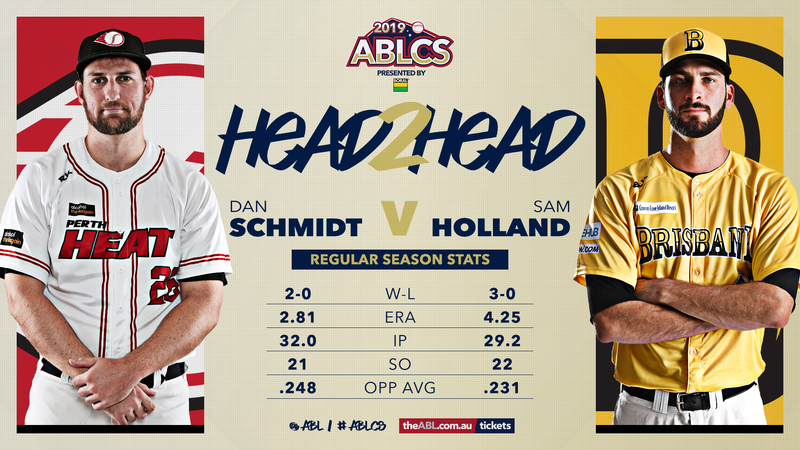 ABL all-time saves leader Ryan Searle bounced back from a rough game two outing to toss a scoreless ninth in the decider. Lin Ko-Chien also rejoins the roster for this weekend. Brooks Hall and Nick Veale worked vital long relief outings in Perth's win over Sydney. Dan Schmidt worked two important innings after finishing the regular season with a 2.86 ERA.